Click Here And Never Miss A 500 Days Of Film Review! Of all movie genres, I set a (very) low bar for romantic comedies. If it doesn’t bore me or provoke too many disappointed sighs / eye rolls… well it’s a success. And do you know what I blame for this? I blame When Harry Met Sally. Rob Reiner’s classic love story starring Meg Ryan and Billy Crystal (and featuring one of my favourite Carrie Fisher performances) was, of course, written by the utterly sublime Nora Ephron. It is one of my favourite movies. Of all time. However, When Harry Met Sally has ruined the rom com genre for me because no other film has ever come close to matching the experience of watching this movie for the first (or 100th) time. 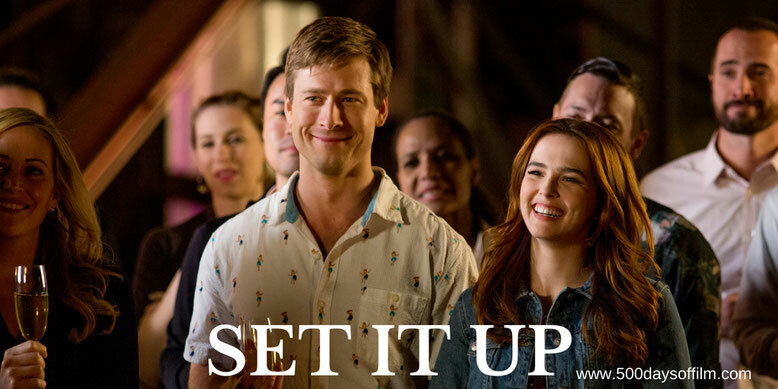 So I started watching Netflix’s rom com, Set It Up, with an open mind but low expectations. And, do you know what? I was pleasantly surprised. Claire Scanlon’s movie is funny and refreshing. It is charming and smart with snappy dialogue (thanks to a script by Katie Silberman) and engaging central performances. Of course, you can predict the ending of Set It Up from the get go. However, the enjoyment of this film is (apologies for the cliche) not in the destination but in the journey we take with Harper and Charlie. 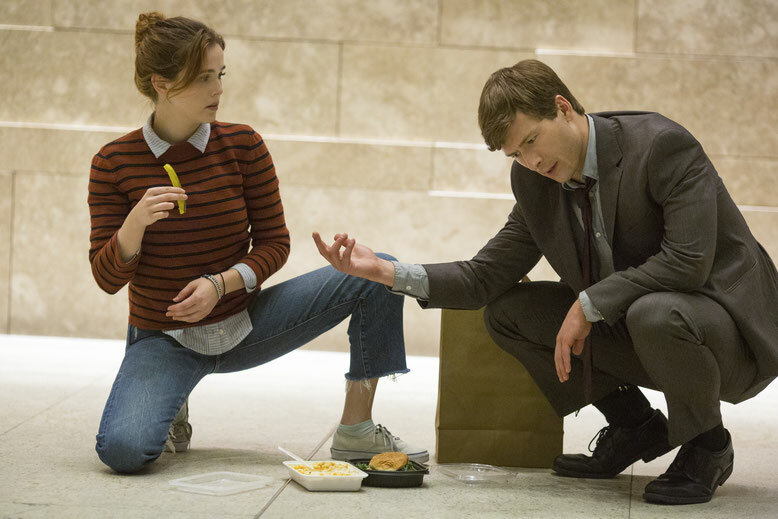 Ridiculous (and unnecessarily adversarial) “meet cute” aside, I warmed to both these characters - largely thanks to the endearing, charismatic performances from both Glenn Powell and Zoey Deutch. Meanwhile, Lucy Liu and Taye Diggs have fun with their roles as the most horrible of horrible bosses. Woah, these people are monsters. Scary to think that Silberman and the film’s producer, Juliet Berman, began thinking about the story when they were both assistants on a film (however, according to the production notes, their bosses were nothing like Kirsten and Rick). In addition to its central romance, Set It Up is also a loving homage to the rom com classics of the past. “We talked about It Happened One Night, His Girl Friday and The Apartment to create a similar feeling, and that’s how we’ve approached making this movie,” Berman explains. While Set It Up is not, of course, in the same league as these movies, Scanlon’s funny and charming film is certainly a cut above many of the recent additions to the rom com genre - a welcome surprise and one I would recommend. I loved Tituss Burgess’s cameo as “Creepy” Tim! Set It Up is rated 15 for “very strong language”. Have you seen Set It Up? If you have, what did you think of this movie? Were you as pleasantly surprised as I was? Or do you think I’ve lost the plot? Either way, let me know in the comments section below or let’s chat over on Twitter. You can find me @500DaysOfFilm.